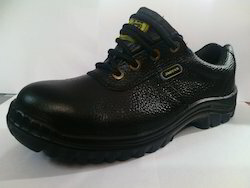 With firm commitment towards quality, we offer a commendable range of Safety Shoes. These shoes are used for variety of safety purposes that are occurred at regular intervals in various industries and sectors. 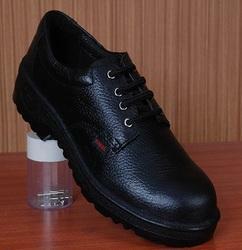 Fabricated by employing latest and cutting edge machinery, this range of shoes is quality tested as per standards & norms of the industry to cater to the varied requirements of the clients. Moreover various sizes and sole grips can be availed from us within the stipulated time frame. We are supplier distributor of hillson brand ladies safety shoes in chandigarh, mohali, panchkula, haryana, himachal, paonta sahib, kala amb, baddi, parwanoo, ambala, punjab, j&k. 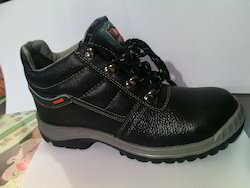 We are supplier distributor of hillson brand ladies safety shoes in chandigarh, mohali, panchkula, paonta sahib, kala amb, baddi, parwanoo, ambala, haryana, himachal, punjab, j&k. With an increased proportion of technology, we are offering a qualitative assortment of Steel Derby Shoes. Backed by a team of experts designers, these are manufactured using quality approved fabric and latest technology. Furthermore, these products are availed in various specifications, as per the varied needs of our valuable clients. Our range is stringently tested on various parameters to assure it on counts of quality. 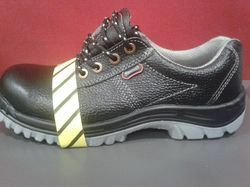 Looking for Safety Shoes ISI Marked ?